Read Lauren's review of Glass. From Unbreakable, Bruce Willis returns as David Dunn as does Samuel L. Jackson as Elijah Price, known also by his pseudonym Mr. Glass. Joining from Split are James McAvoy, reprising his role as Kevin Wendell Crumb and the multiple identities who reside within, and Anya Taylor-Joy as Casey Cooke, the only captive to survive an encounter with The Beast. Following the conclusion of Split, Glass finds Dunn pursuing Crumb's superhuman figure of The Beast in a series of escalating encounters, while the shadowy presence of Price emerges as an orchestrator who holds secrets critical to both men. Glass is in theaters on January 18th, 2019. 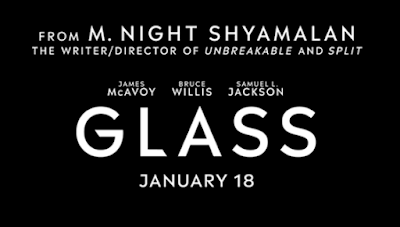 I have been waiting for Glass to come out ever since I saw M. Night Shyamalan tie Unbreakable into Split back in 2016. I loved both movies and LOVED that he surprised us with David Dunn at the end of Split. I was so pumped when the previews for Glass came out. Making this a trilogy AND adding Sarah Paulson? What could go wrong? Apparently, everything could. I was SO disappointed with this movie I don’t even know where to begin. M. Night Shyamalan spent over half the movie trying to describe the importance of comic books – how they are parallel with the real world, the structures of them, just everything there is to know and reiterate about comic books. Instead, he could have been building a better plot. The general basis of the plot is that Mr. Glass, David Dunn, & Kevin Wendell Crumb (and his 23 personalities) have all been captured and contained in a psychiatric facility under a 72-hour hold from Sarah Paulson’s character, Dr. Ellie Staple. (I honestly didn’t think there was a way to make me dislike Sarah Paulson, but Glass sure did find a way.) Her character starts out telling them how ridiculous comic books are and how crazy they all sound, while the 3 of them are desperately trying to escape. Obviously, as all this unfolds, madness ensues. Things started off interesting, with the awesome twist that Kevin’s dad was on the Eastrail 177 train crash caused by Mr. Glass that also set off the chain of events for David Dunn, but tapered off as the full reveal is that Sarah Paulson is secretly part of some anti-superhero secret society (never explained, but they all have clover tattoos for some reason) and she has them all kill David Dunn, Mr. Glass & Kevin. They killed David Dunn – the PROTAGANIST at the same time as Mr. Glass and Kevin and we’re supposed to feel sad for all of them? David Dunn, the entire point of this series, was reduced to being drowned in a puddle. Unbelievable. I also HATED what they did to the lone survivor from split – Casey Cooke, played by Anya Taylor-Joy. As soon as she is told he’s been captured, she runs to the facility and tries to save him, even HUGS him. What is going on? In Split, Kevin/The Beast literally mutilated her friends and only let her survive because he noticed she was being abused and was therefore “pure”. Are we all just rooting for Stockholm Syndrome now? The true “purpose” of all of this happening was to shed light on superheroes, and Mr. Glass exposes the footage of David Dunn fighting “The Beast” to the world – thwarting Dr. Staple and her secret society’s mission to keep it quiet. All 3 deaths are meant to be part of the bigger picture of superheroes… that the world can see they exist and believe in something… however, it’s 2019. In today’s world, that video would have gone viral for an hour, and then an egg on Instagram would gain more likes and followers and we’d move on. I cannot explain how disappointed I was in this movie. I went in SO excited and I was thoroughly let down. For anyone else who also thought this was M. Night Shyamalan’s comeback tour, we were dead wrong. I’m writing this review with spoilers for anyone who has already seen it and needs to vent as well. 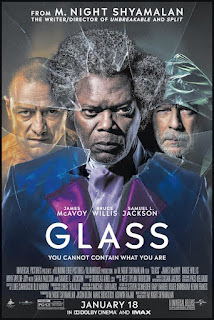 If you loved Unbreakable and Split and haven’t seen Glass yet… Don’t. Lauren (Contributor) is born and raised in South Jersey. When she isn’t yelling at Philly sports teams on the TV, she enjoys seeing the latest action films and true crime documentaries. 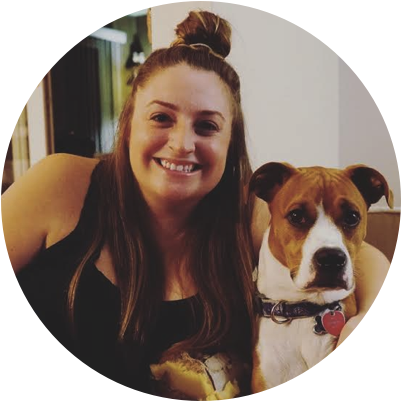 Click Here to check out Lauren's Articles.